Russian Circles doesn't need an introduction. They've played the festival for the first time in 2016. We had fun, they had fun. So we're going to do that again! Their performance was memorable (obviously) so we decided to have their live set released on vinyl, which sold out in no time. If you missed their show and the vinyl there's nothing else you can do than to come down and experience what they're doing on our stage on Saturday May 12th. Zhaoze flying all the way from China for dunk!USA back in October left a strong impression in Burlington, VT. They are amazing people with unbelievable work ethic, playing wonderful post-rock music incorporating traditional Chinese instruments like the Guqin. 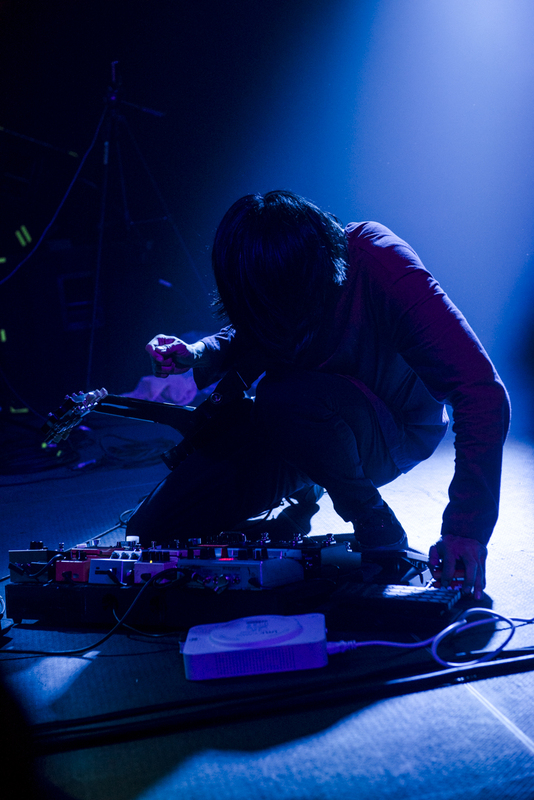 They are often referred to as one of the biggest post-rock bands in China. SOUP from Norway was founded in 2004, started playing live in 2008, released a bunch of albums and will be playing at dunk!festival in 2018. That's the short story. More important to know: they bring alternative (post)-rock with poetic vocals, influenced by Mogwai, GY!BE and postal service (not sure if that last one is actually a band). [ B O L T ] from Duisburg, Germany is not unknown to the dunk!festival audience. They've been there in 2013. Their latest album ( 0 4 ) was released on dunk!records in November 2017 and this is the perfect reason to have them back at the dunk!festival. They will bring their pitch dark doom metal to our upgraded Forest Stage.